Riddim Wise is proud to present the 30th edition of Drop The Riddim, featuring live from Jamaica, Kabaka Pyramid and his live band the Bebble Rockers. 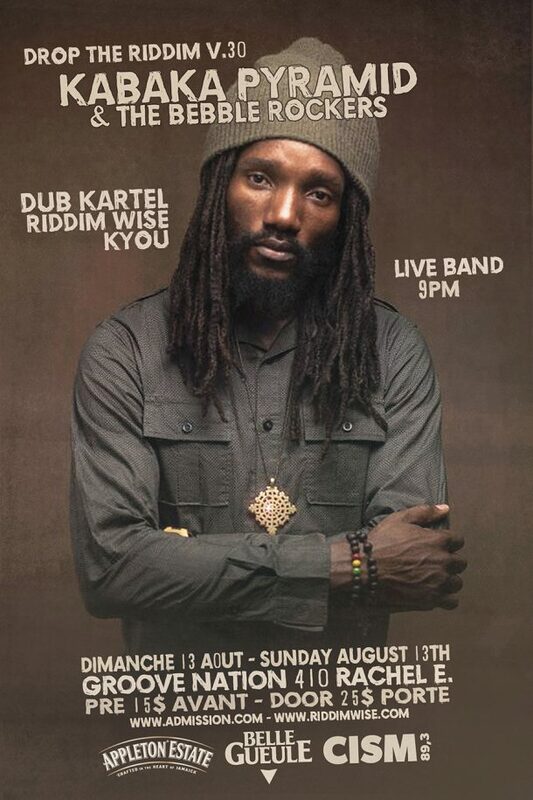 Opening act Dub Kartel, plus sound system by Riddim Wise and Kyou. Sunday August 13th at Groove Nation, 410 Rachel East. Tickets on sale at www.admission.com 15$+tx in advance, 25$+tx at the door. Doors open at 9pm, showtime 10pm (early show).